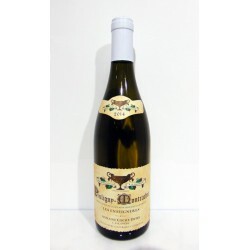 There's no doubt that the Domaine Coche-Dury has to be considered among the most sought after, if not the most sought after Domaine de Bourgogne, especially for its rare and excellent white wines. The Domaine was founded in 1920 by Léon Coche who bottled his own and sold the grapes to negociant. The current owner, as well as the winemaker, is Jean-François Coche, with more and more active collaboration of his son Raphael. He has inherited the helm from his father in 1973 and over the years has expanded the vineyards park, bringing it to over 10 hectares of vines; Odin, the wife of Jean-François, has the surname Dury who was added to the property name. The cultivated varieties are typical of Burgundy namely: Aligoté, Chardonnay and Pinot Noir; These grow in some of the most prestigioni vineyards throughout the region including Corton Charlegmagne, the vineyards of Meursault 1er Cru "Les Genevrières" and "Les Perrières", the "Les Enseignères" in Puligny-Montrachet, etc ... vineyards types of farming used are Guyot and spur cordon: the first produces bigger bunches and lush while the second is used to donate smaller bunches and lower yields. The removal and replacement of the plants is carried out only in the vicinity of the plant itself and not by area or vineyard in a given period. The small winery is located just near the home; the wine-making operations are long and traditional mold with a prolonged contact with the fine lees, such practices prevent premature oxidation and emphasize the freshness of the typical fruit wine by Coche-Dury. The alcoholic fermentation, activated only by indigenous yeasts, woods occur in 40% new and have lasted from two weeks up to 3-4 months (in which case Jean-François is very happy). 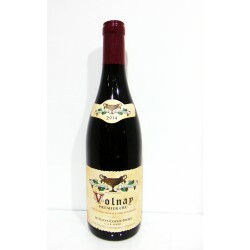 The use of battonage varies depending on the year, the higher the value in acidic vintages such as 2007, while it is low in softer vintages such as 2006. 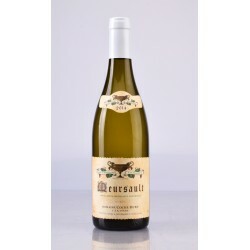 The white wines refined for 12 months in wood until the first racking after which they stop in other woods for an additional 6 months and are bottled the second spring after the harvest. Pinot Noir is vinified by a first cold maceration for 5 days with fermentation at 28-30 ° C for a further 15 days after which the wine is transferred into new barrels to 20% where it matures for 12 months and then bottled. The results are there for all to be seen, or rather, of the lucky ones who have had the option to taste the prestigious and rare wines of the Domaine.